Add something extra special to your dinner table with homemade butter. It’s amazing how good fresh butter tastes. Plus, you can customize it to all your cooking needs. Add a savory herb butter when cooking fish or steak or baking homemade bread. Serve up sweet butter spreads with pancakes or French toast. Check out the infographic below to make your own custom butters. 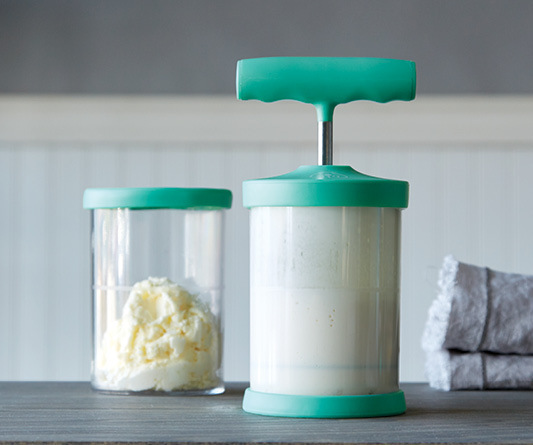 It’s easy to make thanks to the Whipped Cream Maker. It’s compact for easy storage and comes with a nonskid base that doubles as a storage lid. 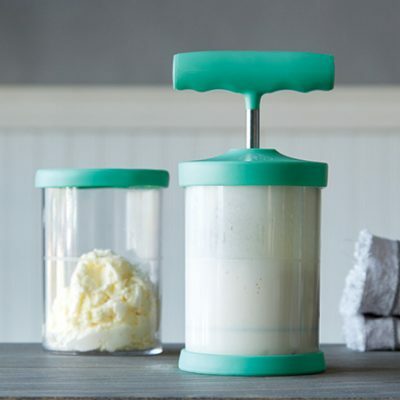 Get Your Whipped Cream Maker! What’s Your Holiday Signature Drink? Is the cinnamon vanilla sugar butter supposed to have sugar in it? No, it would be as listed. Seems like it should since it says, “Sweet Cinnamon Vanilla.” I’d add it, I guess, if you think it needs it…or honey would be yummy! Has anyone used Stevia as a powdered sugar alternative? If so, how much? I would just do it to taste. Start small, and keep adding until you reach desired sweetness level. How long does the butter last usually and can you freeze it? how long does it last with out freezing it? Why does one have to rinse it in cheesecloth? Is there a way to preserve the buttermilk instead of rinsing it away it water? Thanks for the tutorial information. I have a question how much salt would you use if you just want to make salted butter? I am curious abo ut the buttermilk, too. Can i keep it and use it in something else? It’s been a while, but I thought I’d answer you. I don’t have this product; I’m considering purchasing it. But I make my own butter fairly often. You can keep and use the buttermilk that results from making butter. 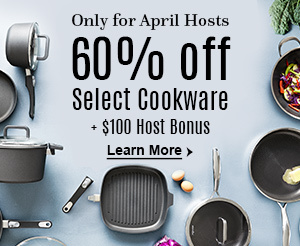 I use it when I make biscuits, breads, and waffles. I also mix it half and half with regular milk when I make quiche. It is NOT like commercial buttermilk, but it stands in well for water/milk if you like the buttermilk flavor.